As I was cleaning up my bookmarks folder on my computer, I came across this and this. I clipped these when I was researching places I was preparing (or planning) to travel and photographing. There are so many projects I'd like to work on. Not just continuing my project in the Owens Valley, but photographing in mangroves all over the world; the Tar Sands of Alberta, Canada; throughout Baja California and where I grew up in the Mojave Desert—the question is, how am I going to find the time to do it all? 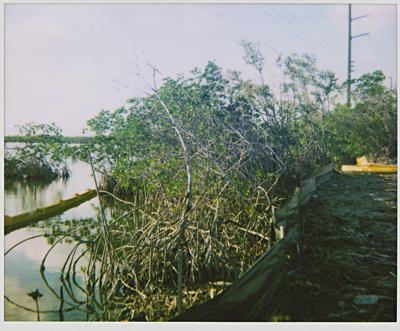 Here is a Polaroid I made when I was in Miami for the SPE National Conference last March. I don't know when I will be able to get back to photograph again—maybe I can tie it in with my trip to Atlanta for ACP (but that is right before Paris Photo). Like I said, when is there going to be time for it all . . .